Since one of the beauty topics that I receive the most emails about is hair care, I thought that I would make time to introduce you to this hair line that I have been a little obsessed with. 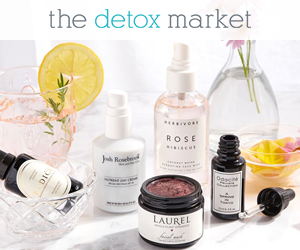 Beside the noteworthy ingredient selection (which are sulfate, paraben, GMO, and gluten-free–and the list continues), it was the product performance that converted me. All the products that I have tried (five, so far) are gentle to both my hair and scalp, yet effective. For that reason, Innersense is the brand of choice of many salons across the US that are switching to more “natural” options, due to increasing demand. The Color Awakening Shampoo was the first Innersense product to win me over. With a clean, non-overpowering scent (Pumpkin Seed Oil), this shampoo makes my hair smell fresh for days. The nourishing, delicate formula cleanses my scalp extremely well, but it does not strip it and it does not cause any buildup. It takes care of my hair at its greasiest, post-workout state with no need to repeat the shampooing. 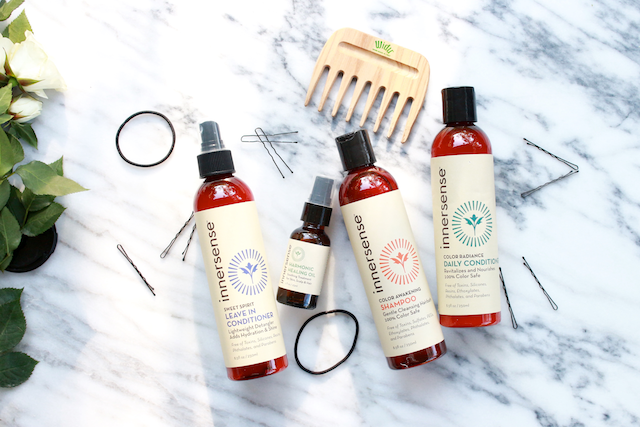 Compared to the first shampoo I tried from Innersense, the Pure Harmony Hairbath, I find that with the Color Awakening shampoo I do not need as much product to get a satisfying lather and good cleanse. As the name suggests, this shampoo was formulated to protect color-treated hair from fading, but it is not only suited for dyed hair. My husband, who has curly, thick hair and a very dry scalp, has also been enjoying this shampoo and his scalp has been significantly less dry lately (we both think that this shampoo may have played a part in that). The formula contains ingredients that have both antioxidant and emollient properties (Cranberry Seed Oil, Roobois Tea, and Sunflower Seed Oil), which may contribute to leaving my hair shiny and healthy-looking. If the shampoo won me over, the Color Radiance Conditioner* sealed the deal because the two make the perfect combo. A very, very small amount of this conditioner, massaged over the lengths of my hair, immediately softens it and makes detangling an easy job. The best thing about it, however, is that it rinses off well and does not weigh down my fine and straight hair. As with the shampoo, I think that this conditioner would work for most hair types, not just for fine hair like mine. After washing my hair using these shampoo and conditioner my hair looks healthy, bouncy, and is easy to style. Usually leave-in conditioners are a no-no for my hair because they add so much weight. Not this one! The Sweet Spirit Leave-In Conditioner* is a lightweight formula that can be applied on both wet and dry hair. Perhaps not a necessity for me, since the Color Radiance Conditioner does the job so well, but this is a must-try for anyone with curly hair. It makes detangling the hair an easy task, it softens and refreshes curls, and gives them a silky/shiny look. I had a family member with long, curly hair testing out this one for me, and she loved it. This little bottle is a bit of a miracle worker for dry, itchy skin–especially the scalp. 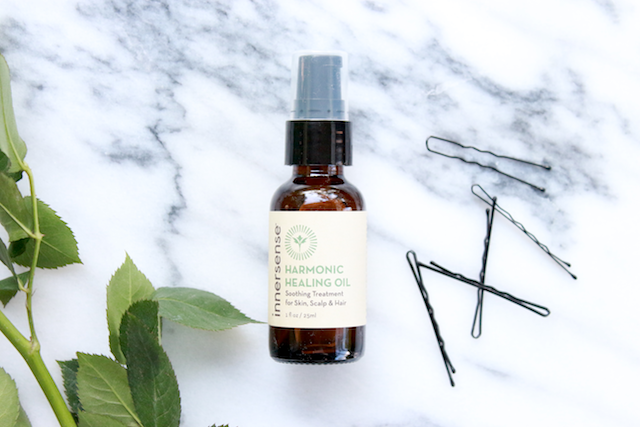 The Harmonic Healing Oil* is specifically formulated to soothe the scalp when it is irritated with ingredients that have anti-inflammatory benefits, such as Tamanu Oil. Since it does not have a greasy consistency (it’s quick to absorb and has a silky texture), it is also excellent as a finishing product. I rub half a pump into the palm of my hands, and then apply it lightly on the ends of my hair (only on the ends), which gives my hair a shinier and healthier look. My husband is currently using it to keep his dry scalp moisturized and comfortable, and he is enjoying it, too. He applies a couple of pumps directly on his scalp. If you are still looking for hair products that can replace your old conventional favorites, I do encourage you to try Innersense. Their ingredients are as “pure” as you can find (totally suited for use on children as well) and perform well. If you have normal, dry, or color-treated hair, I recommend you try the Color Radiance Shampoo and Conditioner. Give them a couple of weeks and you’ll see a difference in your hair (healthier, stronger, easier to manage, etc). If you have curly hair, you should definitely try the Sweet Spirit Leave-In Conditioner to soften and refresh your curls. If your scalp is dry, flaky, or tends to get irritated, the Harmonic Healing Oil is worth trying, too. You can find them at Citrine Natural Beauty Bar (here). Next on my list of Innersene products to try is the I Create Volume Volumizing Lotion–‘cause as you may know I looove big hair ;) UPDATE 1/12/2017: After trying a few other shampoos and conditioners I went right back to Innersense, and actually bought a jumbo size bottle of Color Awakening Shampoo. I have noticed that this is the only shampoo that does not cause any build up on my scalp while still being gentle, and non-drying. It also seems to make my hair stay clean for longer (I have gone up to a week without washing it!). I also repurchased the Color Radiance Daily Conditioner and Leave-In Conditioner, and I got a Quiet Calm Curl Control for a curly-haired family member. (Will let you know how she likes it!). Highly recommend the whole Innersense hair line. I have yet to hear anyone not raving about it. Innersense is kindly gifting one of you with a Hair Ceremony that one of the Innersense founders will pick exclusively  based on the winner’s hair type. The Hair Ceremonies are curated selections of products that include shampoo, conditioner, and speficically selected hair treatments. In order to enter, you will have to go to this Instagram post (click here) and follow the rules. Giveaway ends on June 4th at 11:59 Pacific Time. Open to US residents only. The winner will be announced in the same Instagram post. Good luck! 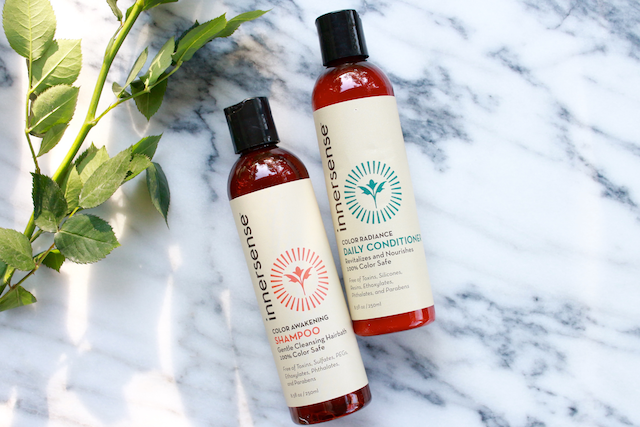 Have you tried Innersense hair products yet?